BarCamp Kampong Cham 2014, is a free and open social event that bring together IT professionals, innovators, businesses, NGOs and students under their own agenda to network, create synergies and catch up the state-of-the-art of technology. It has taken place on this Saturday 19 and Sunday 20, July 2014, which attracts 457 participants include 149 female participants from different universities, high schools, NGOs and private sectors. At BarCamp Kampong Cham participants decide their own agenda including tech innovations, entrepreneurship, e-commerce, and what they want to hear about. The agenda is created on the basis of participants requests, and the speakers, also participants and part of the community, are happy to oblige by presenting the desired information, allowing all participants to network with them and extend the Cambodian technological community. The agenda will include many topics of interest to non-profit organizations planning to use technology to improve the impact of their programs. The Open Institute is one of main sponsors and community partners for this event. A series of training have been specifically planned to help NGOs increase their online presence, use the Internet to increase their impact and to make their computers, networks and communications more secure. 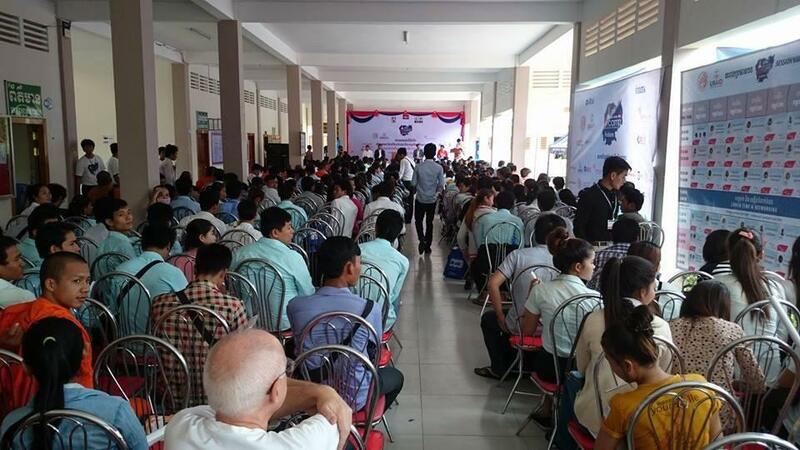 BarCamp Kampong Cham 2014 has taken place at the Chea Sim University of Kamchaymear Kampongcham Branch on this Saturday 19 - Sunday 20, July 2014.